I honestly can’t believe it’s already June. Partly because we had snowfall less than a month ago, but also because time has truly flown since I started working on Star Wars. When I’m not staying late to hit deadlines, I’m playing or running at least two RPGs a week (Dresden Files, Edge of the Empire, and a friend’s homebrew system, Syrionys). I’ve also been attempting to initiate the boy into role-playing games, though it hasn’t been easy topping games like Skyrim or Total War: Shogun 2 for him. That, and I’ve been getting ready for the Origins Game Fair in less than a week. Perhaps it’s clear now why it’s been so hard to stay up to date with the blog. I was super excited to watch my Star Wars: Edge of the Empire sessions sell out almost immediately. I’ll have Crates of Krayts and the Beginner Game on hand if people want to try them, otherwise I’ll be running my own adventure to demo the core rules for people every night at 7pm. I also have something special planned for my Saturday night session, so I hope they enjoy! 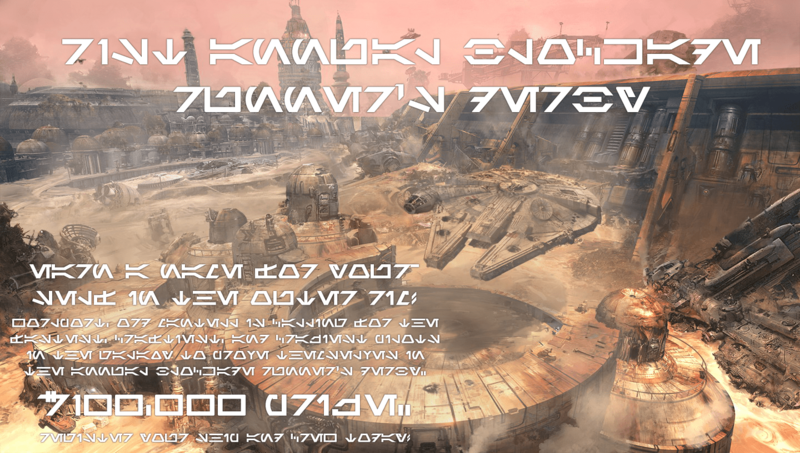 Summary: Earn a name for yourself in the Outer Rim! Calling the fastest, craftiest, and craziest pilots in the galaxy to prove themselves in the annual Blockade Runner’s Derby. Who will be able to navigate the hazards of the cometary cloud, snag the cargo, then outrun both the Imperials and your competition to earn the title of the Bright Jewel’s Best and 100,000 credits? Register your ship and crew today! Summary: The One Ring: Adventures Over the Edge of the Wild. Step into Middle Earth and adventure during the time after the desolation of the dragon, Smaug. Dark things stir in the shadows throughout the land and it is up to you, the heroes, to combat these troubles and bring light to the Free Peoples for another day. Summary: Play a critical roll in the events leading up to the Knights of the Old Republic video game. New players welcome, characters provided. Summary: With the death of Lans Garner and the expansion of the Alliance, the Rebels are forced to sign a deal with the devils of the Corporate Sector. You’re thrown into a top secret undercover operation in the very depths of the Imperial propaganda machine. Can you keep your cover and fulfill a devil’s deal? Welcome to the Shadow Operations Unit, and Welcome to the Corporate Sector! Summary: Staying at a professor’s house in Tokyo after the 3.11 earthquake/tsunami, a group of American graduate students experience a series of weird happenings even more troubling than the increasing lack of electricity. Where is the power going and why has their house become a focus for ninjas, cultists and yakuza gangsters? On their own in a strange city, how can eight young Americans unravel a dangerous mystery and who can they trust? Is it only Japan’s fate that hangs in the balance, or will their failure destroy the world? What exactly do frogs have to do with iPhones, anyway? Summary: An introduction to the world of Shadowrun 5th Edition. Learn the basic mechanics of the game, create a Missions legal character, then play in a Shadowrun Demo. Summary: The heroes are sent to investigate an abandoned Imperial Star Destroyer. No greater prize can even be thought of by your Rebel HQ. The group must determine if the Star Destroyer can be used or not. Game Base 7’s WEG ongoing Star Wars campaign. Start a character or bring an existing Sparks character. Summary: The Black Rock desert in Nevada is an inhospitable place. On a good day it’s a place to be avoided. Today isn’t one of those days. Your troubles started earlier in the day and it’s gone from bad to worse. You’re down to the last of your water, and the last of your food, and the last of your bullets. Surely the day couldn’t get any worse. Summary: Come enjoy an open forum with the folks from Pinnacle Entertainment Group. Shane Hensley, creator of Deadlands and Savage Worlds, Savage Worlds licensees, and others will be on hand talking about up-coming releases and answering questions from the crowd.